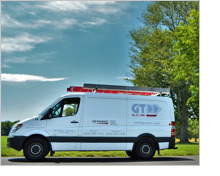 B ased in Norwalk Connecticut, GT ELECTRIC is a fully licensed and insured, family owned and operated electrical contractor. The owner, George P. Tsilfidis began his career working in the field as an electrical apprentice in 1977. In 1987 he acquired his CT E-1 License and founded GT Electric. 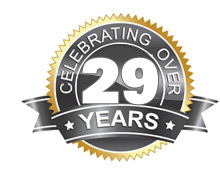 For 29 years George has upheld his principles of quality service by always making sure his customers come first. For over a quarter century GT ELECTRIC has been serving Fairfield & Westchester County residents and commercial accounts with quality electrical services, working alongside some of the most respected general contractors. GT ELECTRIC specializes in high-end residential homes with the integration of Vantage Controls Home Automation. Whether it be new construction or home renovation, count on us for the finest in electrical services, including interior and landscape lighting, electrical service upgrades, swimming pool electrical systems, telephone systems and wiring, data/computer wiring, home entertainment systems, installation and service of automatic standby generator systems and much more. Our electricians are trained to handle all aspects of residential and commercial applications. At GT Electric, we have both the knowledge and experience to meet our customer’s demands – and we do so with perfection. It is our hope you will consider us for your current or upcoming projects. Schedule your in-home consultation today by phoning us at (203) 849-1316 or, if after hours, simply click here to be taken to our contact form where you can leave us a message. We look forward to hearing from you!